I know the wild success by the hub of My little Pony Friendship is Magic and the unlikely fan group of male teens and adults (14 to 30 years old) better known as bronies. In addition it is not lost on me Sanrio is tiring to make inroads into the men market with the KISS x Hello Kitty and Street Fighter X Hello Kitty collaboration. I see the new series as Sanrio’s brony play, which is not a bad thing. Unlike Hasbro, Sanrio want the Young Men’s market. 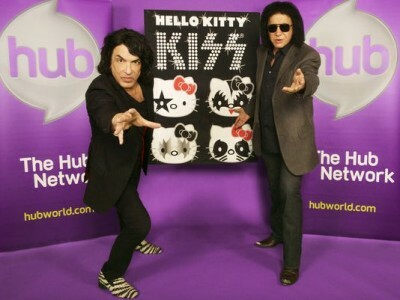 Kiss seems to be an odd choice, I would go with rebooting Hello Kitty and Friends in the same way My Little Pony. More telling if this is a brony play if Lauren Faust is brought on as a producer. Think of this: thousands of new male hello kitty fans, Kitty conventions big as Bronycon NY. Sleep tight MR HKH. I completely agree!!! Bronies will go after this like a moth to a flame. I’m sure a few younger girls will watch this, but yeah, this is marketed to a very specific group and those young men will be the ones watching and spending their dollars on this travesty aka merchandise, lol! I have to confess I was being nice : The old fundamentalist (long sense becoming reformed and anglican) in me still cringe because of KIss’s hard party persona. How can be a match with Hello Kitty? I guess you have to stick to older DVD for now. I like Badtz Maru, and Dear Daniel is REAAALLY cute. Chococat is.. well idk, maybe a little cute. I wouldn’t buy anything Hello Kitty mixed with KISS cuz I hate KISS and they are ruining Hello Kitty for me (I kinda like Hello Kitty stuff but wouldn’t own a house full of it)! KISS needs to stop the madness! Stay away from Hello Kitty Gene Simmons! That’s is so untrue about kiss being nazis. GENE SIMMONS IS JEWISH! They obviously wouldn’t use a Nazi symbol because that makes no sense. “S” in the word “kiss” at the photo in this article with Nazis’ SS logo (f.e. 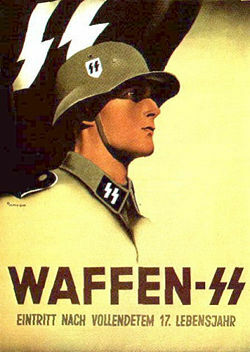 here: http://tropyhistorii.files.wordpress.com/2013/04/waffen-ss-pic.jpeg). It’s obviously way too similar to deny my point. If the author of this graphic is a Jew, he must have received extremely poor education (of course not every Jew cares enough about the Shoah). Not to mention many Asians, especially ignorant youth, consider Hitler a great ruler and conqueror on par with Qin Shi Huang or Genghis Khan. escaped one of the camps, and he was born and spent a part of his childhood in Israel. In Germany all Kiss logos are only permitted to use real ‘S’es because of the resemblance, but they are different. symbol and it loses it’s evil power. Is it just me? Or does Paul look like one of those midget/dwarf guys that used to do the infomercials years back? No no no. Its frankly dire. Its marriage between a beautiful sweet kitty and crap tacky pseudo metal over made up set of tongue hanger out irritating clowns. P*** more like it.